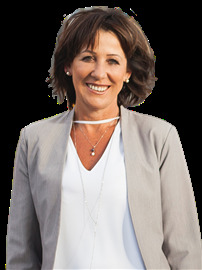 Having held a Real Estate License since 1992 and with a resume that spans many of NZ’s and Australasia’s largest Corporate companies, holding senior management roles for Team NZ, BMW Group NZ Sovereign, IAG and Bay Audiology International, Lesley has numerous marketing awards and accolades to her name. Offering her clients a professional and results-based approach, Lesley has built an excellent reputation in both corporate New Zealand and in the residential real estate market place. Her professionalism, experience, knowledge and negotiation skills has seen her build a large network of repeat clients and trusted relationships. Her clients will be the first to tell you that it’s not only her commitment to consistently deliver the best results and outstanding prices, but her ongoing positive energy, enthusiasm, attention to detail and integrity is why they continue to work with her. Lesley has a wealth of local knowledge and expertise and is assisted by her Personal Assistant Caroline Anderson who takes care of administration and communication. For professional advice about anything "real estate" or if your would like an informal, no obligation current market appraisal, call Lesley Acutt on 021 994 440 or 09 486 9256.